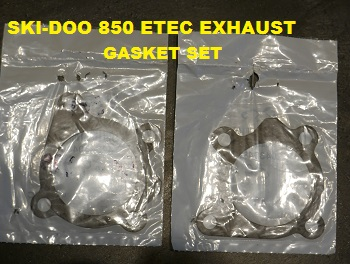 We have Ski-doo OEM exhaust gasket sets ready to go for anyone changing a y-pipe. take our advice- anytime that y-pipe is off put a new set of gaskets on or you will regret it if you don't. these aren't like the old 2002 ZX sleds that can be done easily.